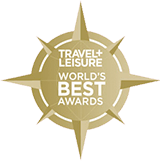 Staying after or arriving early before your Tuscany & Umbria or Sicily Hiking trip? You’re probably flying into and out of Rome, in which case, it’s easy to spend a couple days in this hub of culture and history. While Rome is easily walked, if you’re trying to squeeze in a lot, it’s worth taking the underground Metro. It’s clean and easy, with just two lines—east/west and north/south. You’ll be whisked from one end of the city to the other in no time. Obviously, if you haven’t yet been to the Roman ruins, you really can’t leave Rome without doing so. Get an early start as lines can be long. It’s best to reserve your tickets ahead of time for the Colosseum (METRO B: Colosseum). Get an audio guide or book a tour guide. The stories you’ll hear about Roman life (and death) and the details about the construction will give you a much better appreciation for and understanding of the amphitheater. Then walk across the Appian Way to the Roman Forum. You can get a guide for the Forum as well, but each building has an information plaque, so a guide isn’t as necessary. At the end of the Forum, cross the main road to your right and gaze at the intricately carved Trajan Column depicting Roman victory in the Dacian wars. By now, it’s lunch time. Good thing there is no shortage of places to eat in Rome, but finding a good, authentic place can be tricky. One of my favorites is L’Archetto. It’s a tucked-away and unassuming old-world spaghetti house with very reasonable prices and a pasta menu 10 pages long. You can even get three different kinds on one plate—pasta tapas! It’s a 7-minute walk from the Trajan column, #26 Via dell’Archetto between Via dell’Umilta and Via del Vaccaro. After lunch, the Trevi Fountain is a 3-minute walk and you probably only need 3 minutes here. The tradition at the Trevi is to stand with your back to the fountain and throw three coins with your right hand over your left shoulder. The first coin is to ensure you will return to Rome, the second is for a new romance, and the third is for marriage. (Maybe you’ll only want to do the first, depending!) Be aware that this place is a haven for pickpockets as it’s usually very crowded…so just be extra alert. 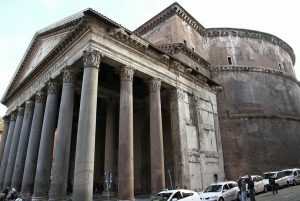 A 10-minute walk west will bring you to the Pantheon, an architectural marvel that basically paved the way for all domes built since because of its unique construction method. Historically, it was one of the most important temples to Romans as it was dedicated to all the Roman gods. Now, several famous people are entombed there including the Renaissance artist Raphael and the first king of unified Italy. If you haven’t already had gelato today, you’re due for one. And one of the best places in the city is Gelateria della Palma, a short walk north of the Pantheon on Via della Maddalena. This place has over 150 flavors, made fresh daily. And they are ALL amazing. Head to Vatican City (METRO A: Ottaviano). 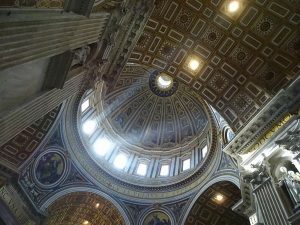 While the Vatican Museums are fascinating and offer a plethora of unique artifacts and artwork, if you only have 2 days in Rome, skip ’em. However, the only way to see the Sistine Chapel is to go through the Vatican Museums. You can reserve your ticket ahead of time. 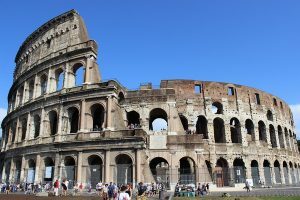 The lines can stretch down the street, and you’ll get much more out of your trip to Rome from walking the city and seeing some of the other sites. That being said, you should definitely go into Saint Peter’s Basilica. The soaring ceiling and elaborately decorated surfaces are jaw-dropping, plus one of Michelangelo’s most famous sculptures, La Pietà, is on the right side near the entry. You can also walk up the dome. If you dig archaeology (pun intended), or just want something off the beaten path, reserve a spot on the tour through the excavated necropolis underneath the Basilica. Access is strictly limited and requests must be made months in advance. 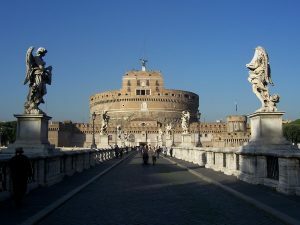 After setting foot in the world’s smallest country (just under 17 square miles), walk down the street to Castel Sant’ Angelo. Originally built as the tomb for Emperor Hadrian, it was robbed, so he isn’t there anymore. Over the centuries, it’s been built upon, and at one time or another has been a fortress, a prison, and a papal residence. The views from the top over Rome are spectacular, and you can even count the seven hills that founded the city. The castle also has a good exhibit of armor, and the papal apartment rooms are beautifully hand-painted and include original furniture from the 1400s. Another off-beat thing to round out your day is a visit to the Cappuccin crypts (METRO A: Barberini) on Via Vittorio Veneto. It’s a totally bizarre thing to see. 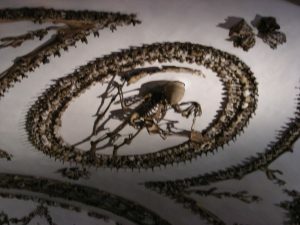 I think the story behind it is that the monks were hiding an artist from persecution in the crypts, and as an creative outlet, he used the bones of the dead monks to decorate the room—chandeliers, ceiling and window trim, and other ornamentation. Totally eerie and morbidly fascinating. A quick stop at the Church of Santa Maria degli Angeli e dei Martiri (METRO A: Repubblica) might also be of interest. You’ll only spend a few minutes there, but there’s a sundial that runs a good length of the church floor, running along Rome’s meridian line. 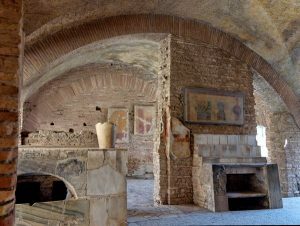 It’s also built inside the ruins of the Roman Baths of Diocletian—the ultimate in “upcycling.” If you’re nearby, it’s interesting, but don’t necessarily make a specific trip to see it. You may also opt for a day trip outside of Rome to Ostia Antica (45 minutes by local train). It was an Ancient Roman port city now in ruins, but very well-preserved (kind of like Pompeii but not covered in volcanic ash). If you aren’t going to make it as far south as Pompeii, this is a great example of a real Roman city, complete with beautiful mosaic floors, a small amphitheater, temples, apartment buildings, shops, latrines, frescoes, and more. Of course, there is so much to see and do in Rome, 2 days is just a drop in the bucket. For more things to explore, check out the Villa Borghese, Caracalla Baths, Palatine Hill, Campo de’Fiori, Villa Torlonia where Mussolini once lived, and Villa d’Este outside of the city, just to name a few!